If you enjoy baking from scratch then this recipe would be perfect for you! Featuring our rich and chocolatey cacao powder, you won’t be able to resist these indulgent treats. Whisk together the plant based milk and cider vinegar in a jug. Set aside. Cream the sugar and margarine in a large bowl with a hand -held whisk until soft and smooth. Set aside. Sift the flour, bicarbonate of soda and cocoa powder into a bowl. Mix in the coffee granules and salt, ensuring there are no lumps. Tip the dry ingredients into the sugar and dairy free spread and pour in the plant based milk mixture. Stir together with a wooden spoon, using a figure of eight motion. The mixture will seem dry at first, but will loosen quickly. Spoon the batter into the cases using a dessert spoon. Be careful not to over-fill. Bake in the centre of the oven for 25 minutes, or until the cakes spring back to the touch. Leave to cool completely in the tins before decorating. To make the icing, sift the cocoa and sugar into a food processor and add the shortening. 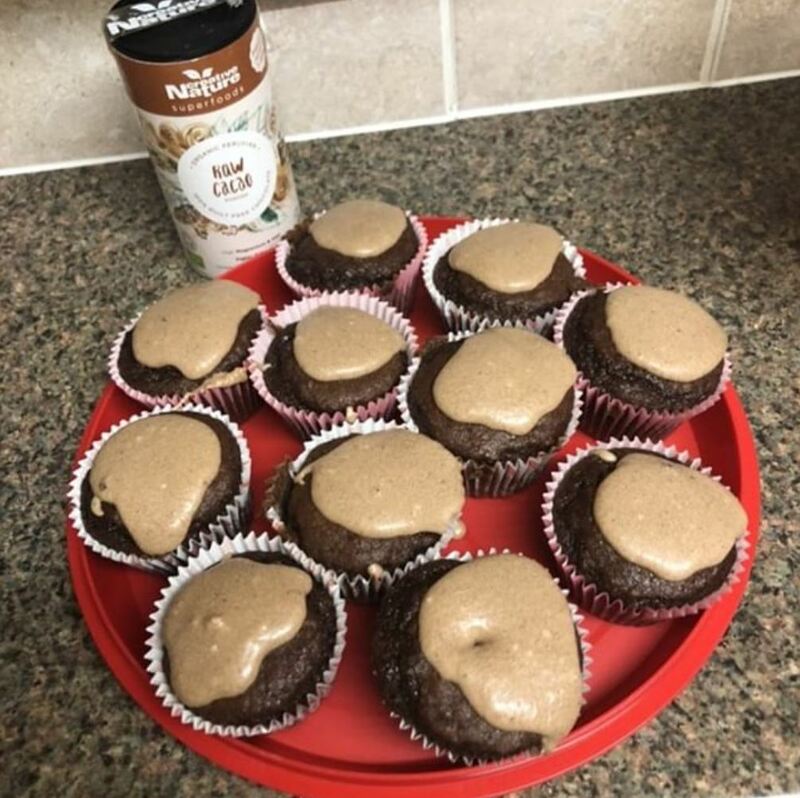 Blend the mixture and gradually pour in the plant based milk until your icing is the desired consistency.